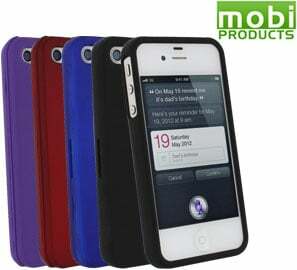 For today only, the iMore Store has the Mobi Products Hard Shell Case for iPhone 4S, iPhone 4 on sale for only $29.95!. That's an external lithium-ion battery with 1700mAh delivers hours of additional talk and playtime on your iPhone, iPod touch, iPad or any USB device. Get them before they're gone! Mobi Products Hard Shell Case for iPhone 4S, iPhone 4 now!